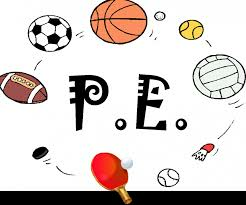 Physical Education is about developing children's enjoyment, confidence and skill in physical activity and introducing them to the pleasures of sport. In our school we try to foster co-operation, toleration and self-esteem. We aim to promote an enjoyment of exercise that will, hopefully, be continued into adulthood as part of a healthy lifestyle. We employ the services of Sports Synergy to provide expert coaching for all children during one session of PE per week and they also provide an after school club.